I always love to go around the city, but the traffic in Cebu is getting worst and one thing to save your time to arrive at your destination is to ride a habal-habal or motorbike. 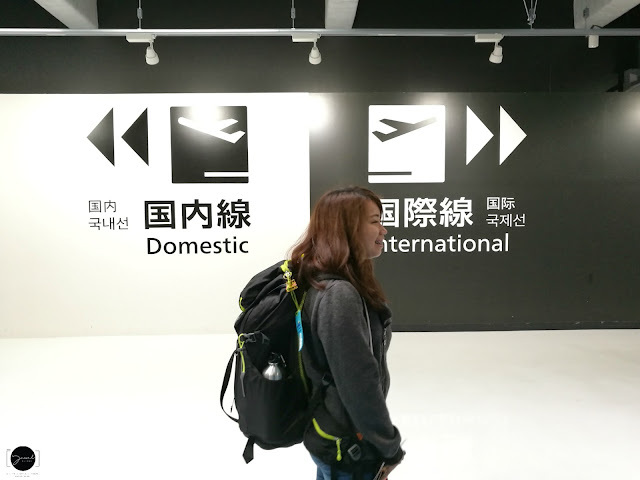 I recently rode motorbike to the airport so I can't miss my flight back to Manila. If you are thinking to get your own motorbike, you can consider this promo. Break the cycle of commuting and getting stuck in traffic with a HONDA WAVE (New) 110cc at PSBank’s “WIN A HONDA WAVE” raffle promo. Get a chance to WIN A HONDA WAVE (New) 110cc by simply maintaining at least PhP5,000 average daily balance in your PSBank Peso Checking or Savings account from June 1 to August 31, 2017. You will earn more e-raffle entries for every PhP5,000 deposit in your account. The more deposits you make, the more chances of winning! 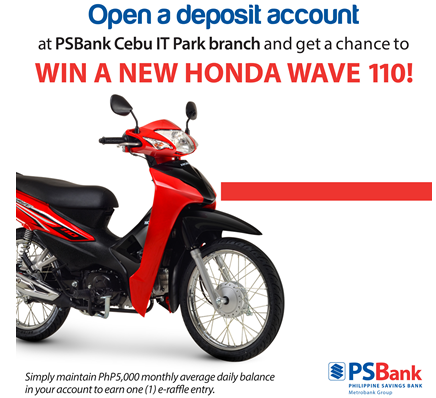 The “WIN A HONDA WAVE” raffle is open to all new and existing individual or joint deposit clients of PSBank Cebu IT Park Branch. All raffle winners will be drawn electronically on September 14, 2017; 5:00pm at the Ground Floor, Stall 101, eBlock 4, Jose Maria Del Mar St., Cebu IT Park, Cebu City.